Searching for a Northern Inuit? 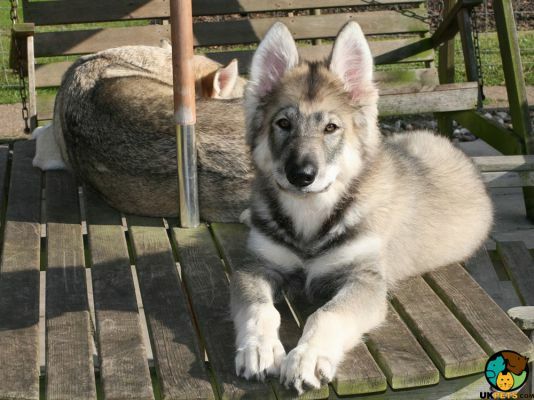 Do you want to get your own “direwolf” Northern Inuit dog? Here is a brief information about this affectionate and loving celebrity dog. The Northern Inuit is a new breed and first appeared in the late 1980s. 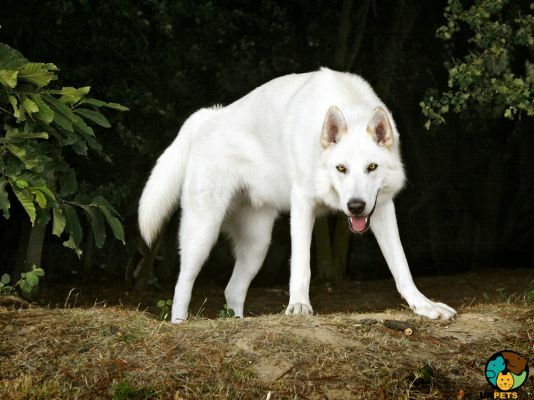 Eddie Harrison developed the breed with the goal of creating a wolf-like dog to be a loyal companion. 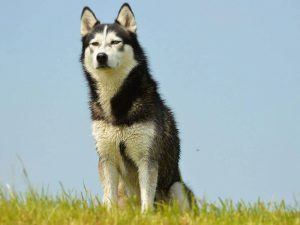 Introduced into the bloodline mix are the Siberian Husky, Alaskan Malamute, German Shepherds, and a variety of Inuit dogs. Before “Game of Thrones” was shown in 2011, the Northern Inuit is already popular in different parts of the world because of its gentle and faithful natures. However, it remains to be a rare breed and is currently not recognised by The Kennel Club or any international kennel clubs. 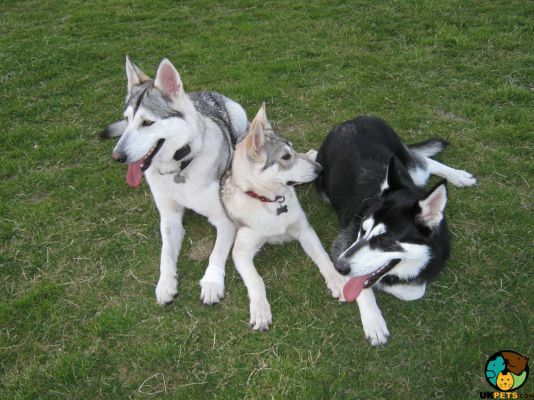 Regardless, there are plenty of local breed clubs established to help standardise the Northern Inuit breed. The Northern Inuit is of medium to large build, weighing 55 to 110 pounds and standing 58 to 81 centimetres at the withers. It is an athletic and lead dog breed sporting a double coat and a straight tail. When it comes to its physical appearance, the Northern Inuit has a nicely well-proportioned head, slightly domed skull, strong muzzle that tapers toward a black nose with wide nostrils. Its jaw is strong with a perfect scissor bite. 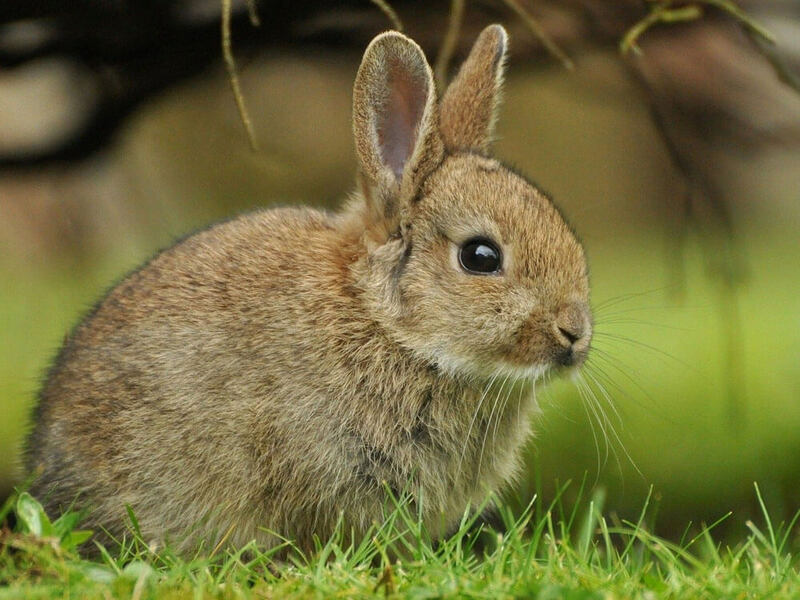 Ears are set wide apart and eyes are oblique, which can be any colour. Northern Inuits boast of an incredibly dense and weather-resistant double coat. It is comprised of a harsh topcoat and a soft undercoat. Its tail is a bit bushy and ruffs form around the dog's neck and back of their legs. The Northern Inuit is mostly seen in colours of pure white, grey, sable, apricot, and pure black. Given its thick coat, regular brushing is required to control shedding especially since Northern Inuits shed throughout the year and more during autumn and spring. Bathing must be done when necessary since frequent baths will remove natural oils from the skin. Basic grooming must not be overlooked. Other than caring for the coat, make sure ears are cleaned to prevent wax build-up and infection. In order to avoid gum disease and bad breath, brush the Northern Inuit's teeth regularly. Don't also forget to trim its nails when they grow too long. The Northern Inuit is not ideal for first-time dog owners since it is smart and can be stubborn. This type of dog is preferable for those who can show themselves as a leader the Northern Inuit can look up to for instruction. Dog training is also a bit challenging as it is not as biddable compared to other breeds. On the positive side, Northern Inuits are very sociable, easy-going and quiet dogs even when they seem to appear like their wild wolf cousins. They are people-oriented and thrive in the company of humans. Since they form strong bonds with their owners, separation anxiety may arise when they are left alone for a long period. Thus, they are more suitable for households where one family member stays at home. The Northern Inuit can be a little boisterous when it gets excited and as such is not the best choice for families with young children. Its sheer size alone can easily knock over any small child, so make sure interaction is always supervised. Northern Inuits are social dogs, which means they get on well with other dogs especially when socialised at an early age. However, care must be taken when they are around small animals due to their high prey drive. A typical serving of an adult Northern Inuit Dog is 4 to 5 cups of high-quality dry dog food per day. The number of meals to feed your dog will depend on its age, activity level and metabolism of the dog breed. Like any other dog, Northern Inuits have different nutritional requirements, so don't rely on online sources alone. If you have doubts, consult a veterinarian. The Northern Inuit will need high-protein dog food. It is also essential to supplement commercial dog food with bone meat, raw meat and fat. Stay away from all by-products, sweeteners and artificial preservatives. 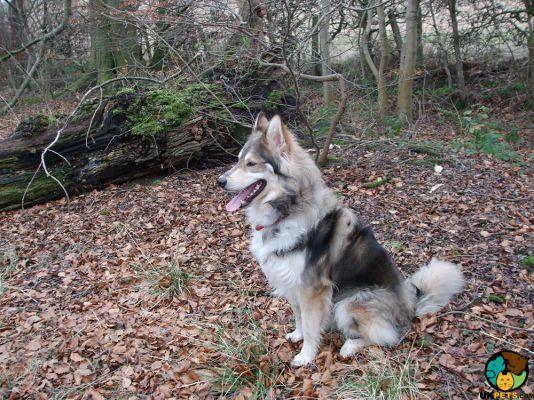 Northern Inuit Dogs are healthy but are still predisposed to certain genetic or hereditary health conditions. 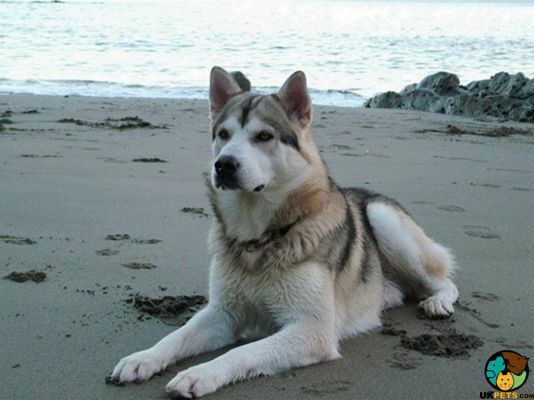 You need to consult a veterinarian to make sure your Northern Inuit is not suffering from the following health disorders: Hip and Elbow Dysplasia, Hereditary Eye Disease, Achondrodysplasia, Cryptorchidism, Epilepsy, Addison's Disease, and Cancer. As an active dog breed, it will need a ton of exercise. Give your Northern Inuit at least 1 hour of daily exercise whether it's walking around the neighbourhood or playing fetch. Some Northern Inuits are trained in canine sports such as agility and flyball trials. 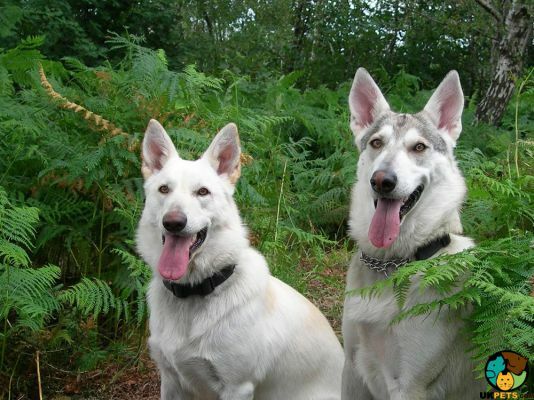 They will also enjoy running and hiking through the countryside alongside their owners. Since Northern Inuits were cast as "direwolves" in the show Game of Thrones, it is understandable if their market price has gone up. However, this dog breed is not as popular in the UK as it is in other parts of the world, so its price remains affordable. When you plan to you buy a Northern Inuit, it will cost you no less than £500 for a well-bred puppy. Pet insurance will likely set you back £20 to £45 a month, which is the average of most dog breeds. Buy quality commercial dog food rich in animal protein, which is also formulated to medium to large dogs. Dog food for the Northern Inuit will cost you somewhere from £40 to £50 a month. Veterinary care is another major financial setback, which you need to prepare to pay at least £1,000 a year. As a rough guide, the cost to care for a Northern Inuit is around £70 to £110 a month. Is a Northern Inuit Right for You? 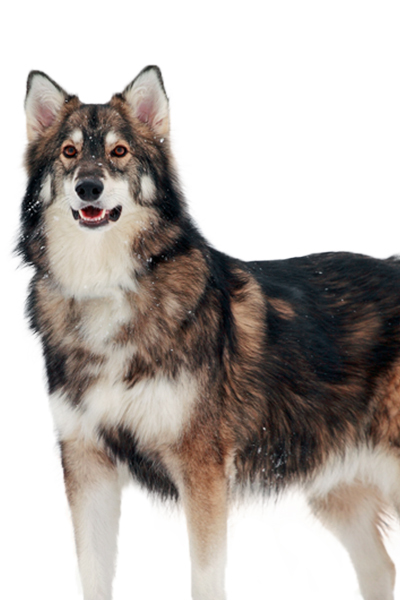 The Northern Inuit was bred to resemble wolves that are loyal companions. It is smart but has a bit of a stubborn streak, which makes training hard. Given its thick coat, regular brushing is required to control shedding. Northern Inuits are easy-going and quiet dogs. They are people-oriented and thrive in the company of humans. They are social dogs and get on well with other dogs.